Cicero defines hope as “the expectation of good” (Tuscolanae, IV, 37, 80). In this sense, hope is directed to what is (or what is desired as) possible, but which has not yet been realized. It is significant to note that the concept of hope has been formulated differently within the history of philosophy and also that its meaning has changed within different cultural horizons. Hope is both the pillar of an ethics that includes the good and also of a society that considers progress and well-being as positive aspects of living together. 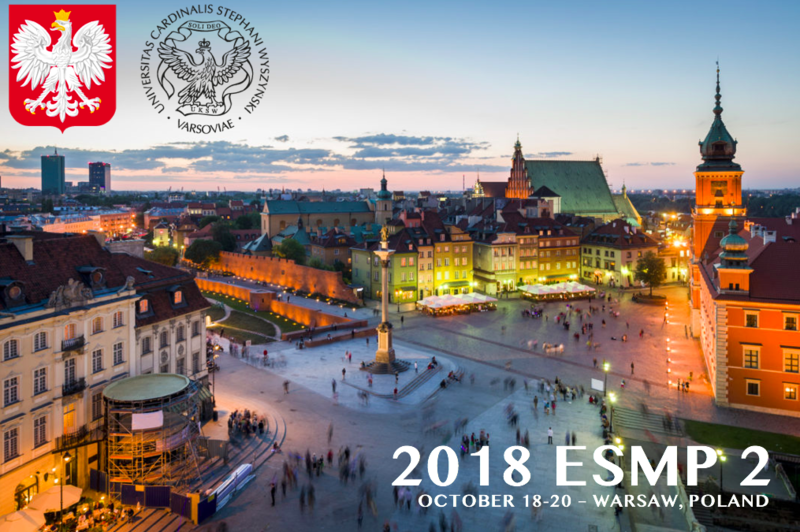 Developing upon the research conducted so far — in particular the previous studies on the good, desire, and the will — we chose to dedicate the second conference of the European Society for Moral Philosophy (ESMP 2 2018) to the theme of “hope”. The conference will focus on different aspects of hope, both speculative and practical, discussing such questions as: What is the essence of hope? Is it reasonable to have hope in the contemporary world? How does hope act upon the person? In what way does hope find its fulfillment or disappointment? Can there be such a thing as “corporate” or “political” hope? What is the relationship between hope and human growth/development? How does hope help to work toward the good? Juan Manuel Burgos, Universidad CEU – San Pablo, Spain. Chantal Delsol, University of Marne-La- Vallée, France. Dominic Farrell, LC, Pontifical Athenaeum Regina Apostolorum, Italy. Martyna Koszkało, University of Gdansk, Poland. Ryszard Antoni Legutko, European Parliament. Piotr Mazurkiewicz, Cardinal Stefan Wyszynski University, Poland. Alice Ramos, St. John University, U.S.A.
Joseph Rice, Seton Hall University, U.S.A.
Oliver Roy, European University Institute, Florence, Italy. Josef Maria Seifert, Gustav Siewerth Akademie, Germany. Manfred Spieker, Universität Osnabrück, Germany. Bogdan Szlachta, Jagiellonian University in Krakow, Poland. Stelios Virvidakis, National and Kapodistrian University of Athens, Greece.